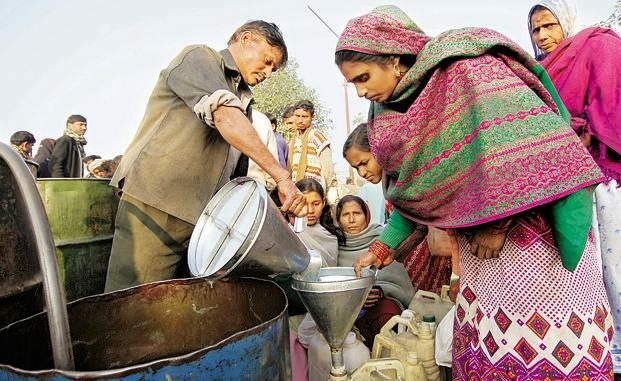 Ranchi: Cabinet approved the setting up of a Rs 6.68 crore contingent fund on Tuesday to ensure supply of food grains to families who are unable to access PDS rations, the first concrete step taken by the Jharkhand government in the wake of reports of a number of alleged starvation deaths in districts. Food and civil supplies department secretary Amitabh Kaushal said that while Rs 4.40 crore was meant for rural areas, Rs 1.08 crore had been earmarked for urban areas. “Each panchayat committee in rural areas and ward committee in urban areas will be given Rs 10,000 each. For areas that are neither urban nor rural, like, say, Bokaro and Saraikela-Kharsawan, the deputy commissioners will be provided Rs 5 lakh each,” Kaushal told the media. He said panchayat and ward committees would be responsible for ensuring prompt supply of food grains to those in need, including those without ration cards or those who could not access PDS rations for any other reason. “The scheme will also cover migrants. The PDS ration cards of such beneficiaries ought to be given within a month. As much as 80 per cent of BPL families are already getting PDS supplies under various schemes,” he clarified. The cabinet also approved guidelines for the execution of rural development schemes through adivasi vikas samitis in tribal dominated villages and gram vikas samitis in villages where tribals weren’t not in majority. Panchayati raj department secretary Vinay Kumar Choubey said development work involving expenses up to Rs 5 lakh could be taken up by these committees of which panchayat samiti members would be members. He explained that project estimates would be prepared by the committee concerned. Tenders would not be floated for the execution of selected projects. These would be taken care of by the committee members or villagers. While the state government would take care of 80 per cent of the total expenses, the remaining 20 per cent would be the share of the committee concerned which was adjustable against labourers wages. Sanction six posts of officials of various ranks for Jharkhand High Court, district and sub-divisional courts and juvenile homes.